My daughter is planning a Thanksgiving luncheon to honor the volunteers at the elementary school. She asked me to make turkey centerpieces for the three tables that she is using. The volunteers will sign up for a door prize and these turkey centerpieces will be the prizes. 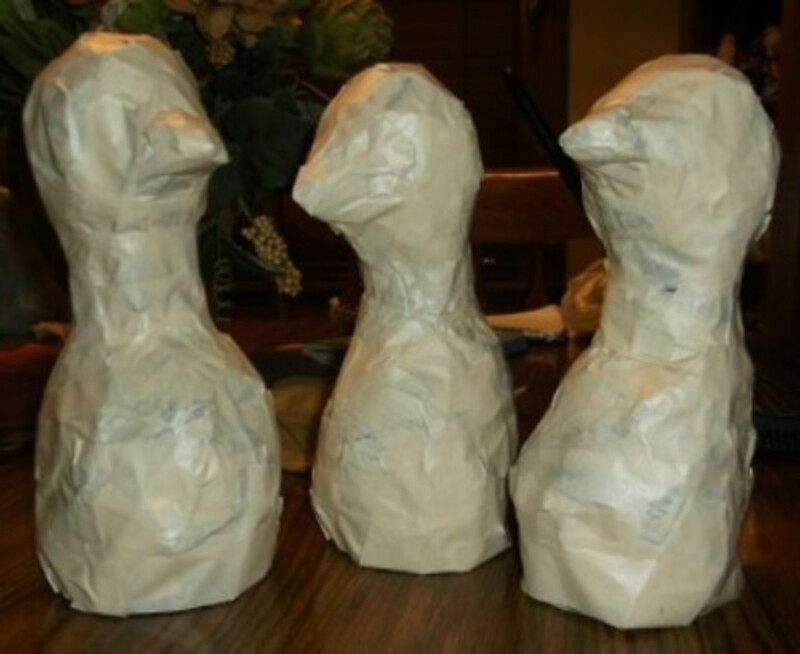 I found a great, new to me recipe at Ultimate Paper Mache, for paper mache clay, one day and decided that this would be a perfect time to try out the recipe.In this article I'll give you the name, and site address, of the blog where I found the recipe. 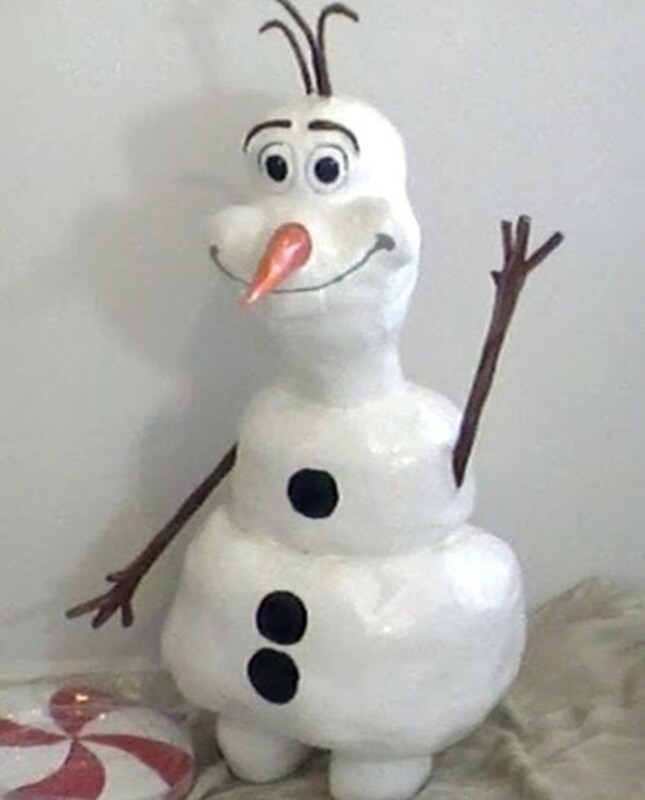 The blog also has a great video that you'll want to watch before making the paper mache clay. I'm also going to tell you, and show pictures of the steps I took to make the turkeys. 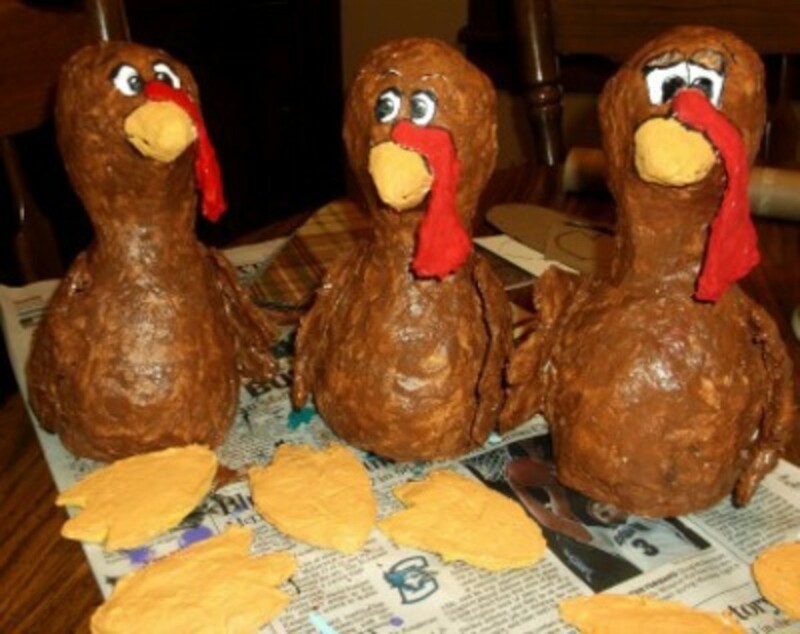 I had great fun making these turkeys. 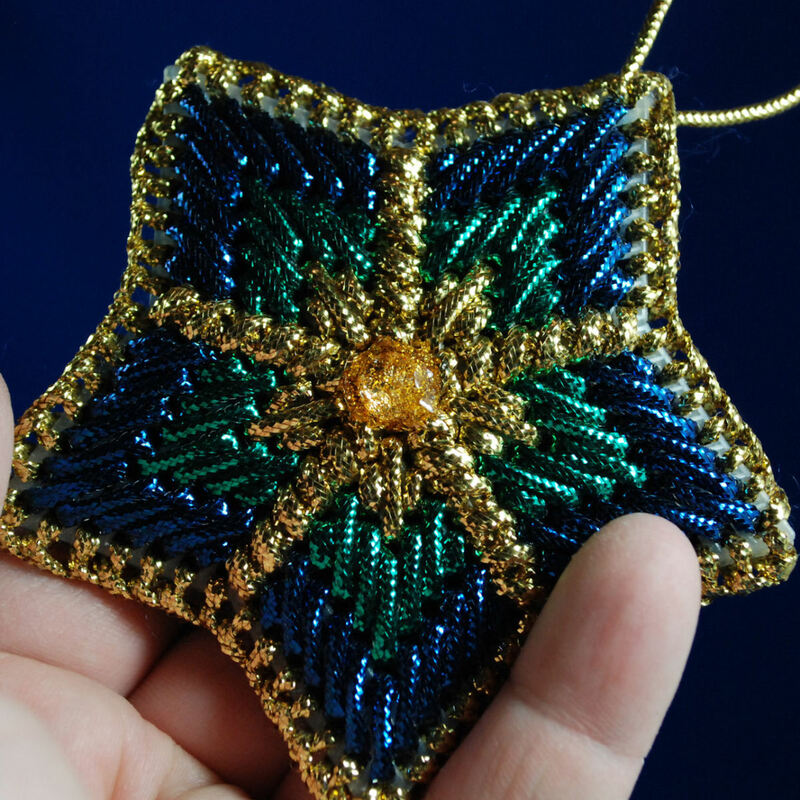 I hope that you'll try this craft, but be warned, you can get hooked. 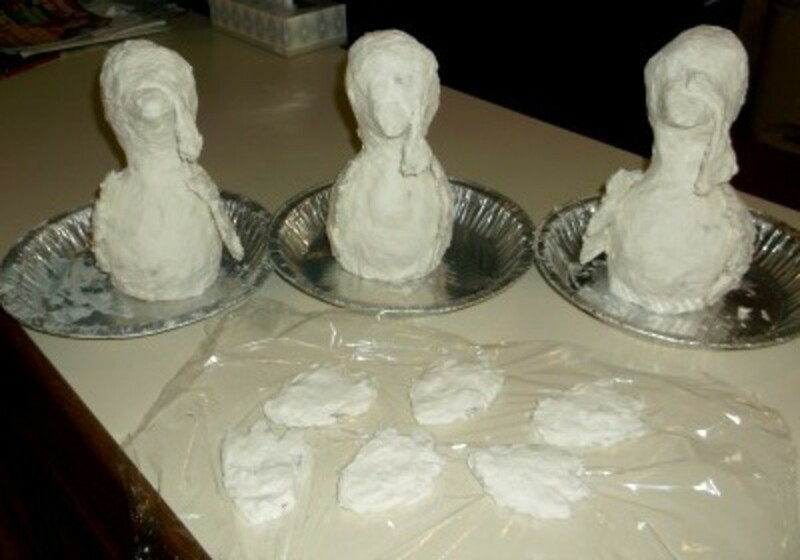 I've already made two snowmen, a bird and a chick, besides the three turkeys that I made for the Thanksgiving luncheon. 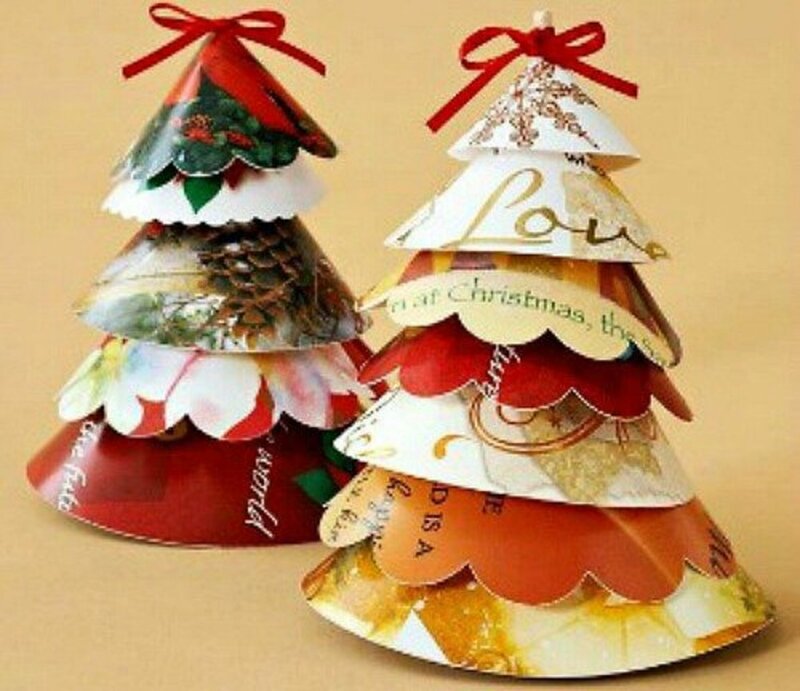 Now I'm planning on trying to make Christmas trees to go with the Christmas villages that I've gifted my kids with over the years. 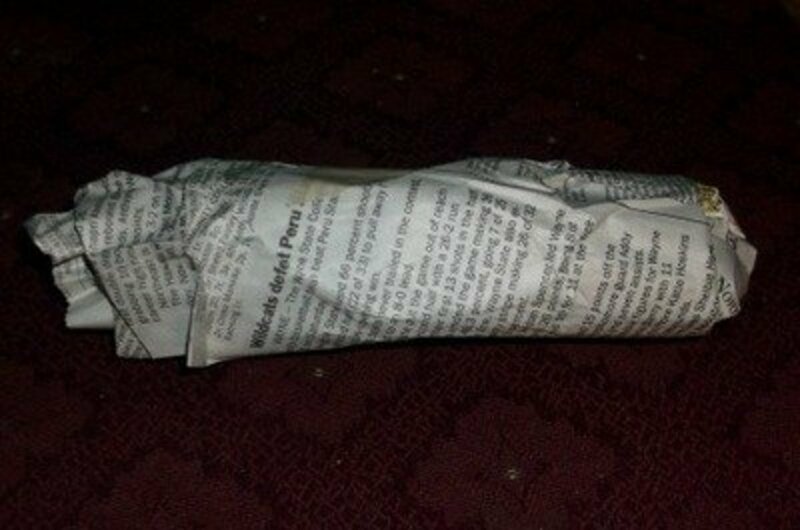 Use one double sheet of newspaper to make a rolled paper neck. 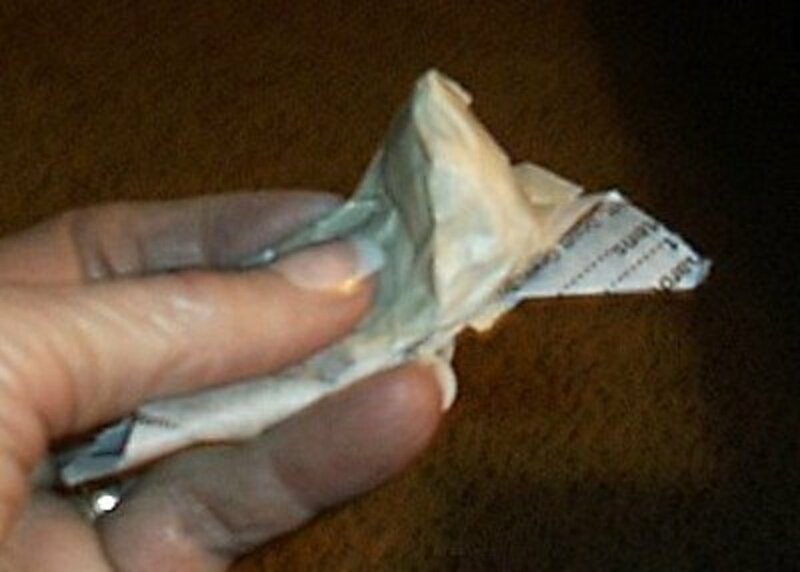 Tape the paper to hold the shape. To make the turkey head, use a single newspaper page and wad it into a head shape around one end of the rolled neck piece. Tape to hold in place. 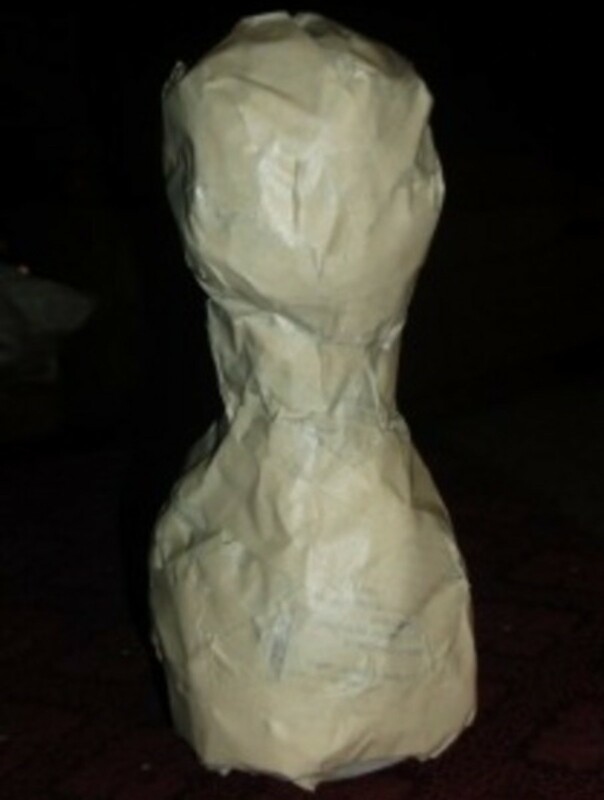 For the turkey body, use a double sheet of newspaper and wad it together around the other end of the rolled neck piece. Tear pieces of tape and cover the entire turkey, head, neck and body. 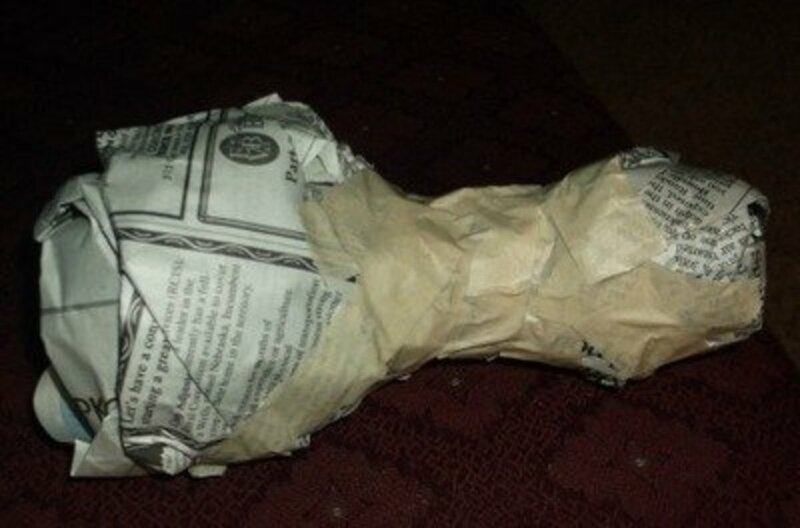 By the time you are finished taping, you'll see the turkey shape. Head, neck and body. 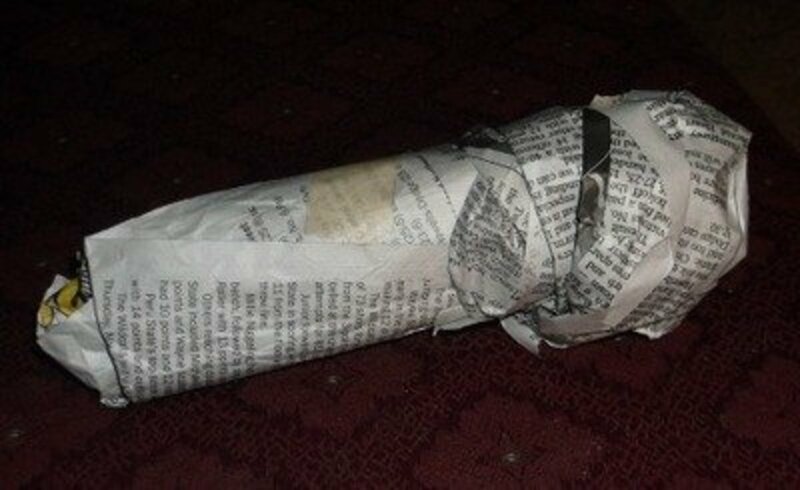 Tear a single sheet of newspaper into three horizontal sections. Use one of the sections. Tear that one section in half and roll it into a small ball. This photo shows the newspaper pieces for all three of my turkey beaks. You'll use just one of the three. Center the little ball in the other half of divided third. 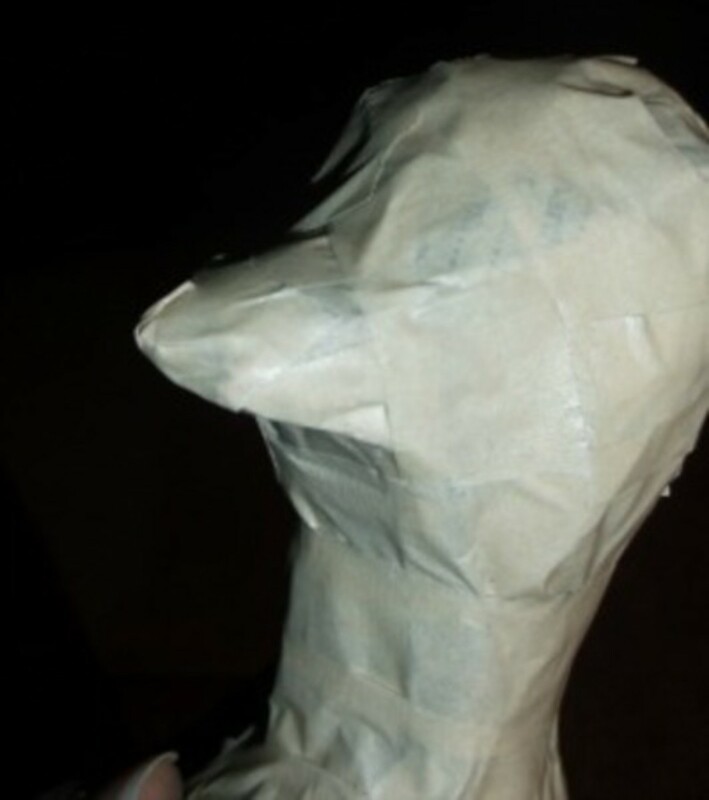 Wrap tape around and shape the turkey beak. 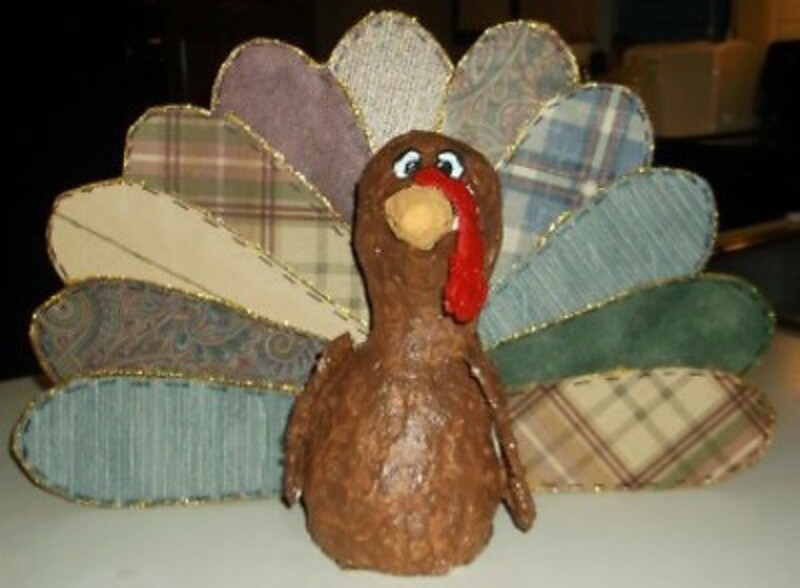 Fold out the ends of the paper and tape the beak to the turkey head. Tear off pieces of tape and tape the beak in place on the turkey's head. Attach the beak a little below the middle of the turkey face. 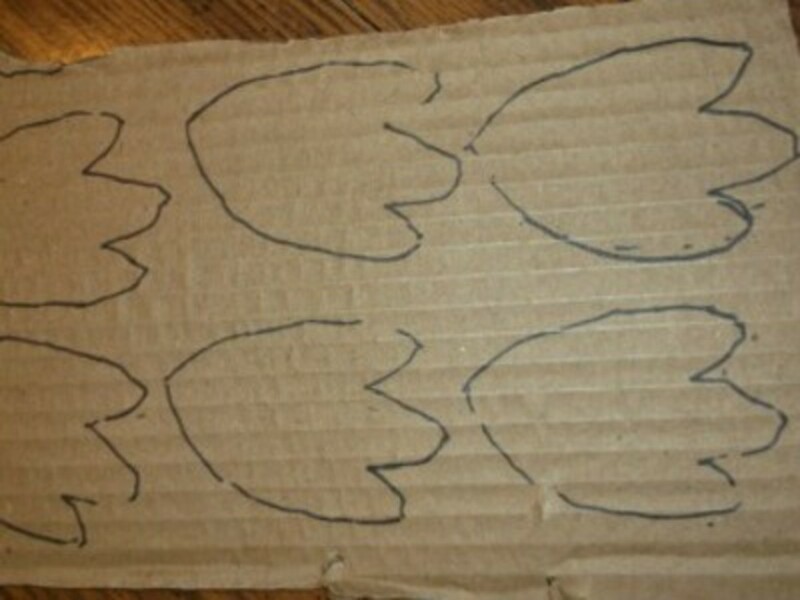 Set the turkey on a piece of cardboard, trace around the bottom and cut the shape. Tape across the bottom and up onto the body. Check that the turkey stands evenly, then tape around the bottom edges and across the bottom so it's all filled in. 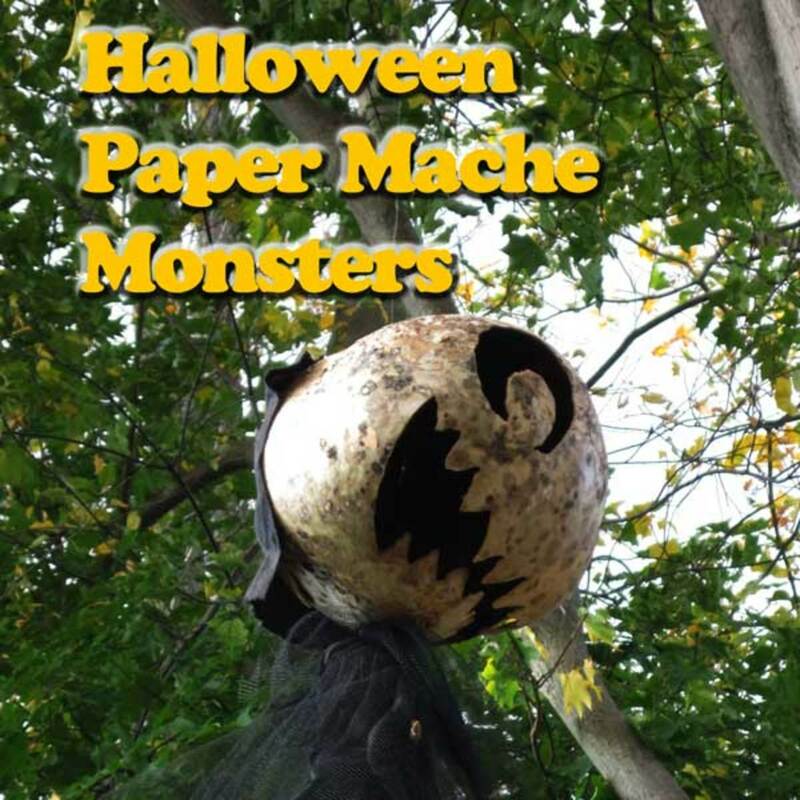 print off the pattern and cut two feet shapes from cardboard. As she mentions on the video, I added the tablespoon of Clorox to the water, and didn't use any mineral or linseed oil. Measuring the wet paper pulp is important. 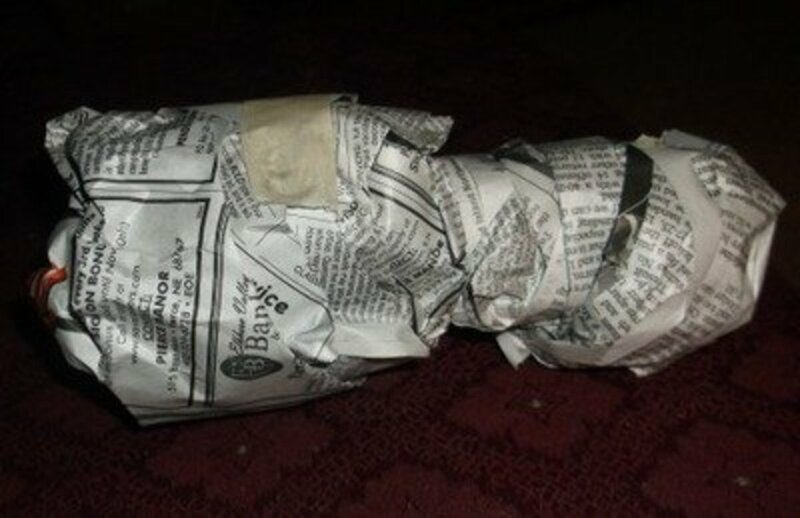 The ingredients in the paper mache clay are: toilet tissue, Elmer's Glue All, ProForm All Purpose joint compound, and flour. If you've watched the video, you'll see that applying the clay is very easy. I used an old butter knife and it worked just fine. 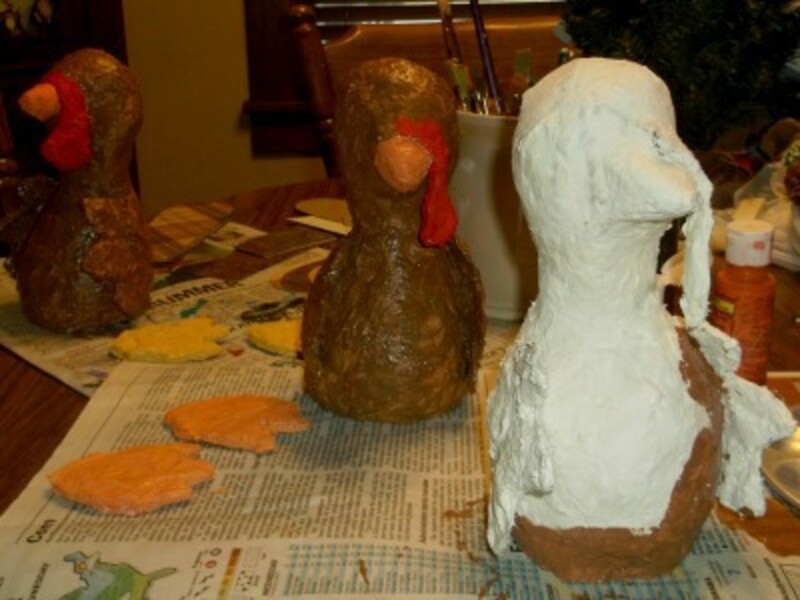 After I had the turkey body covered, I applied the clay on the waddle and then placed it over the beak, making sure to keep the end of the waddle hanging. On the beak I used the knife to define the top of the waddle. Before adding the wing shapes I placed the turkey in a pie tin. I covered the wing shapes with clay, defining the notches on the wings and smoothing the wings into the body back. I tried to keep the front part of the wings away from the body. 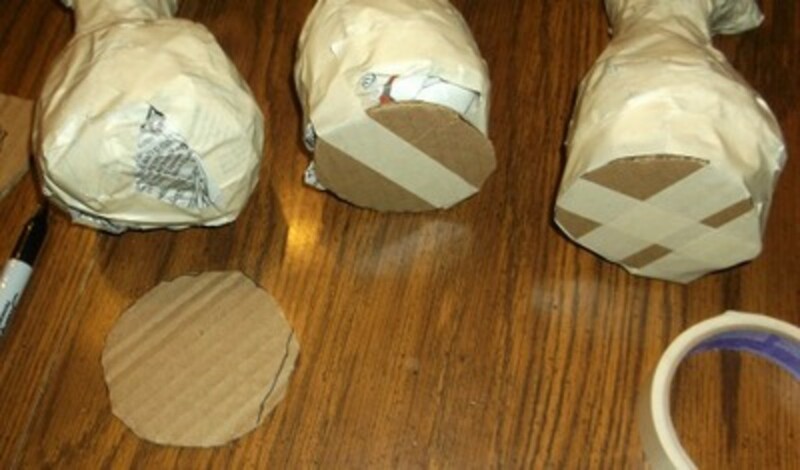 I covered the foot shapes with clay and placed them on saran wrap to dry. Let the turkey dry. That sounds really strange, doesn't it? But, you know what I mean. 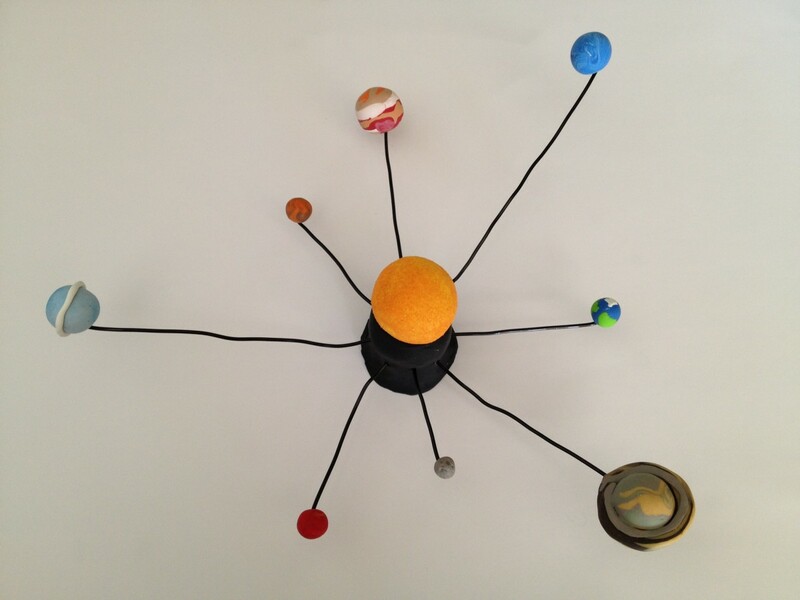 The video suggests that the item be dried in an area of moving heat, like in front of a heat register. If you have kids around or, like me think that you might not see it and give it a kick, the turkey will dry within about 24 hours sitting on a table. Now the really fun part begins. I used a color called Real Brown for the bodies. I only put one coat of paint on the bodies because I liked the mottled look after one coat. Paint the waddle a nice red color and the beak an orange. To paint the eyes, I first drew them on the face with a white pencil. Then I filled in the area with white paint. After the white paint was dry I added the black pupils and painted a thin line of black around the white. As you can see I gave each turkey different eyes. I found that by looking at images on Google of turkey clip art, I got different ideas on how to paint the eyes. 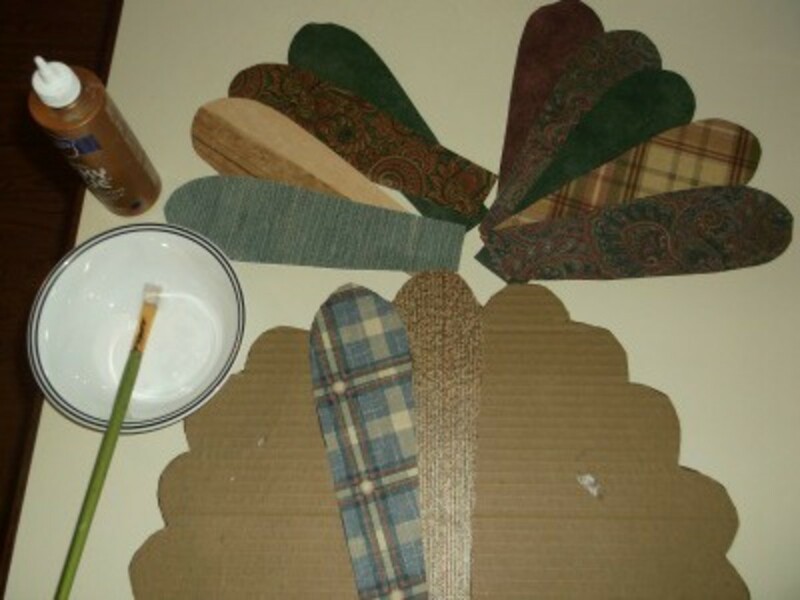 You can make your own or print out and tape together the turkey feather fan pattern. 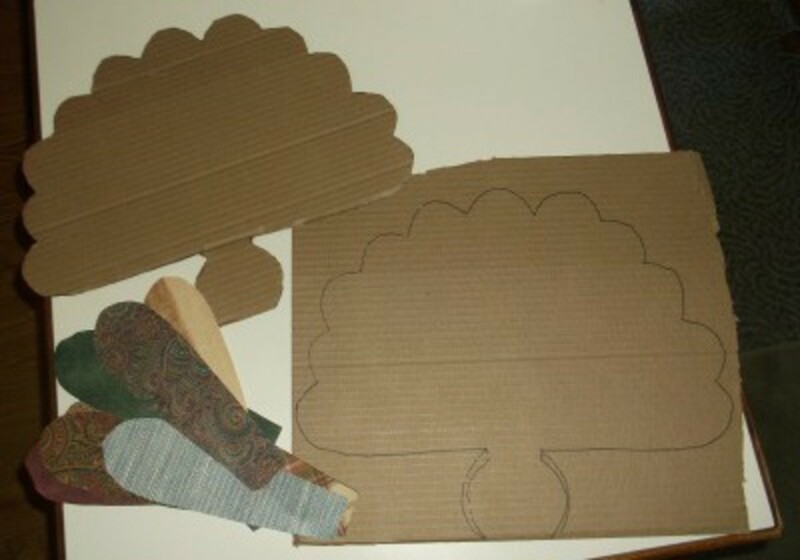 Then cut this shape out of cardboard. 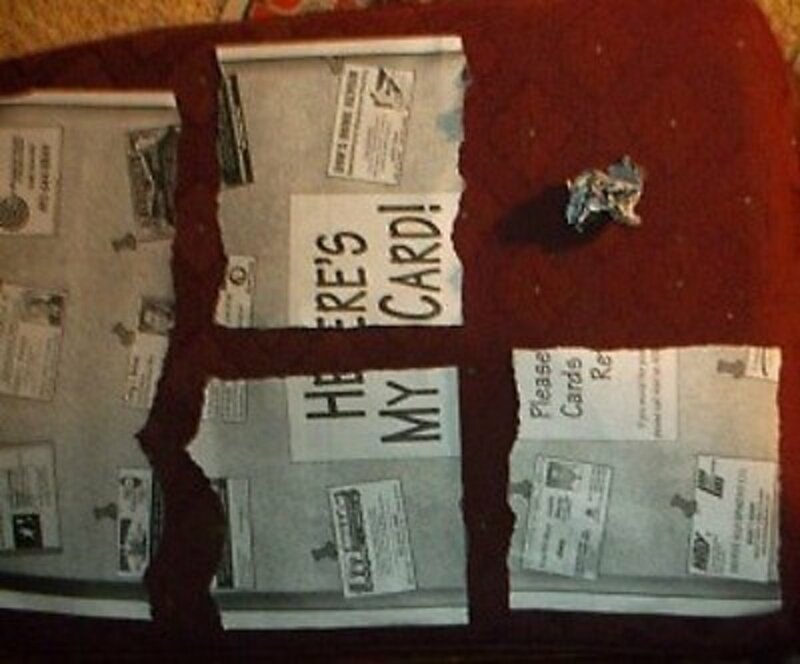 Cut eleven feather shapes out of wallpaper or designer scrap book paper. Dilute white glue with a small amount of water so you can use a brush to apply the glue to the back of the feather shapes. Start with the center feather, then work to the sides, overlapping and gluing. I painted the back of the feather fan with a deeper brown color. 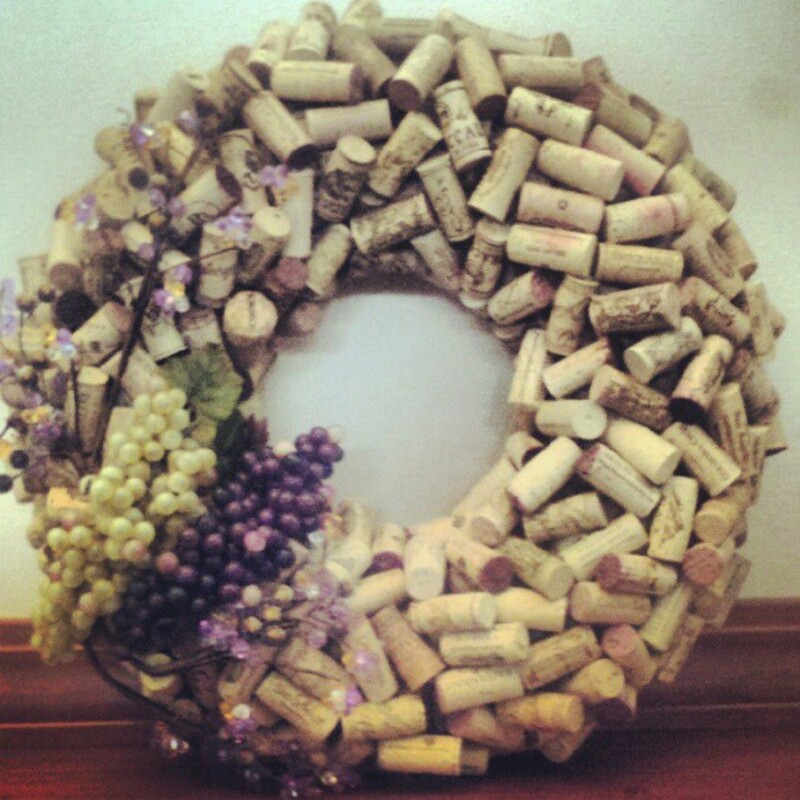 For the luncheon, I plan on adding a Thanksgiving verse to the back. I like the looks of stitches, so I used a black Sharpie and added dashes around the feathers. Then, I added gold glitter glue around the edges of the feathers. This doesn't have to be done if you prefer to skip the glitter glue. When the glitter glue is dry, use hot glue to glue the turkey body to the circle at the bottom of the feather fan. Be sure to check to see that the feathers will stand straight up behind the turkey. Add a touch of glue at the spot where the feathers touch the turkey body. I painted a 1/2" thick heart with brown paint and glued it to the back of the turkey's head, and then to the feather fan to make it more durable.This is when I sprayed a sealer over the whole thing, and the feet. 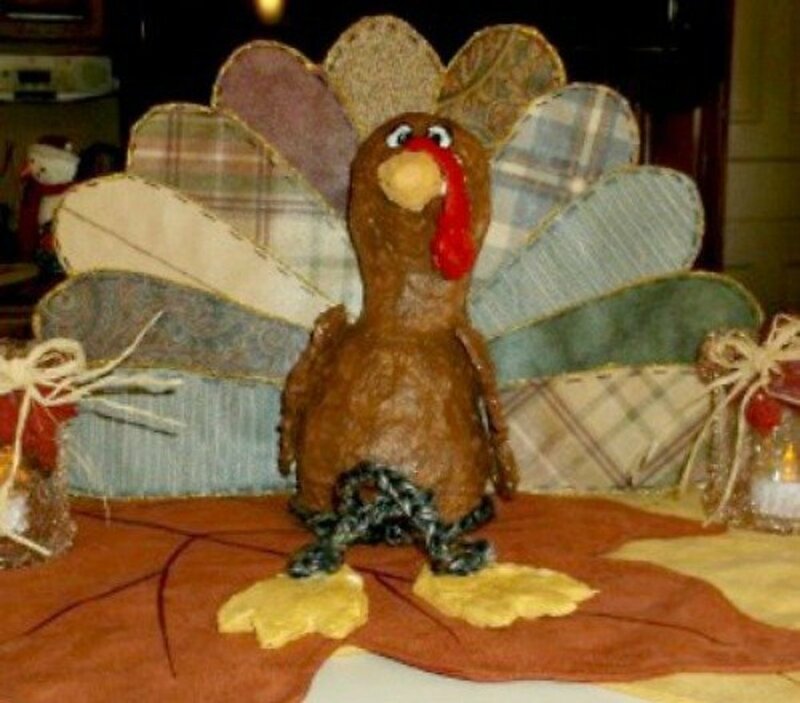 I wanted to use jute for the legs, but didn't have any on hand, so I made a 28" chain of yarn, slid one end of the yarn behind the the turkey, at the very base. Then I tied knots on the ends of the chain and hot glued the knots onto the feet. 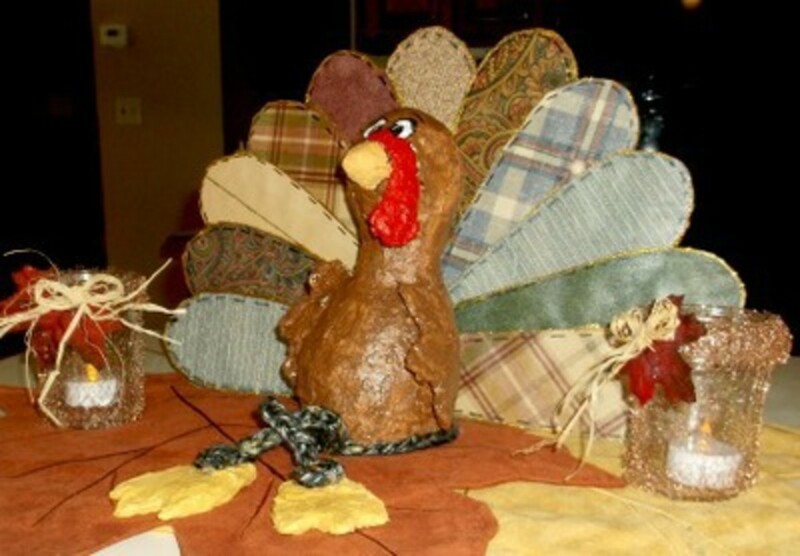 I applied hot glue around the base of the turkey and adhered the chain in place, meeting at the front center. When displaying the turkey, cross one long leg over the other in a casual way. Here is a photo of how the 1/2" spacer looks like between the head and the feathers. I really like these turkeys, so I guess I'll be making another one....for me! 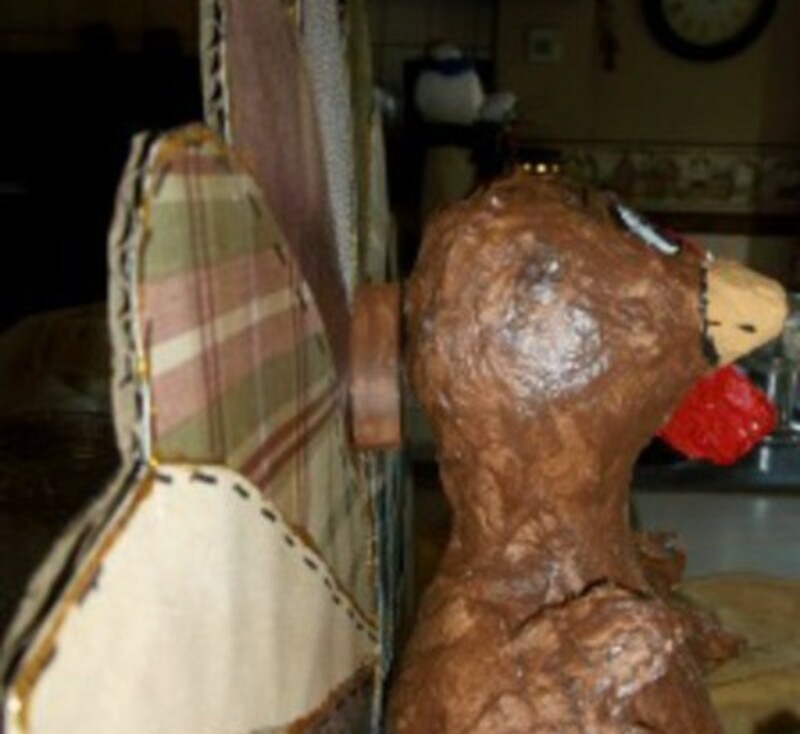 Would you make a paper mache clay turkey? - or leave a message.